There are so many ways to reach customers in today’s complex digital world. Marketers have a constant challenge to make their campaigns pop, capture attention and create a lasting impression on consumers. KFC has really hit it out of the park, recently, promoting their original recipe. KFC – which is a subsidiary of Yum Brands Inc. – calls its recipe “one of the biggest trade secrets in the world.” We all know that the brand prides itself on its 11 herbs and spices and the company claims no one has been successful in cracking the secret recipe. All we know is that – a copy of the recipe is kept inside a safe along with 11 vials containing the ingredients. It is a mix of these ingredients that make their food finger lickin’ good. 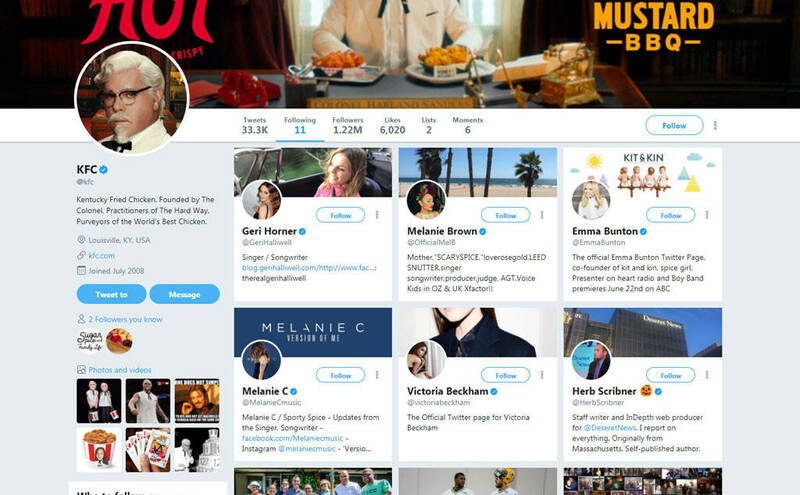 Recently, a Twitter user (@edgette22) pointed out that KFC’s Twitter account follows 11 people – six men named ‘Herb’ and the five women who made up ‘The Spice Girls’. KFC follows 5 spices and 6 herbs. In other words, 11 herbs and spices! Was there any wittier and more entertaining way for the brand to show its history with a reference to 11 herbs and spices? The power of social media is that news can quickly spread. Similarly here, one tweet broke the internet. A few users on Reddit claim that the Edgette (@edgette22) works for a PR firm called TallGrass Public Relations and he often tweets about Yum Brands’ two main stores, KFC and Taco Bell. There is a possibility that this entire thing was planted and even though he rubbished the rumours, we do not know for a fact if this was just an accidental discovery or a big marketing stunt. Whatever the case, I still think it is a brilliant strategy to farm out a “random” guy to discover the 11 spices and herbs. Perhaps, it was intended to be organic but no one on Twitter noticed it and they had to hire someone? The possibilities are endless but somehow, it does not make a difference. Edgette can be working for KFC’s marketing team or he can simply be a die-hard lover of KFC and Taco Bell. The idea was to get people talking about the secret recipe and the tactic worked. 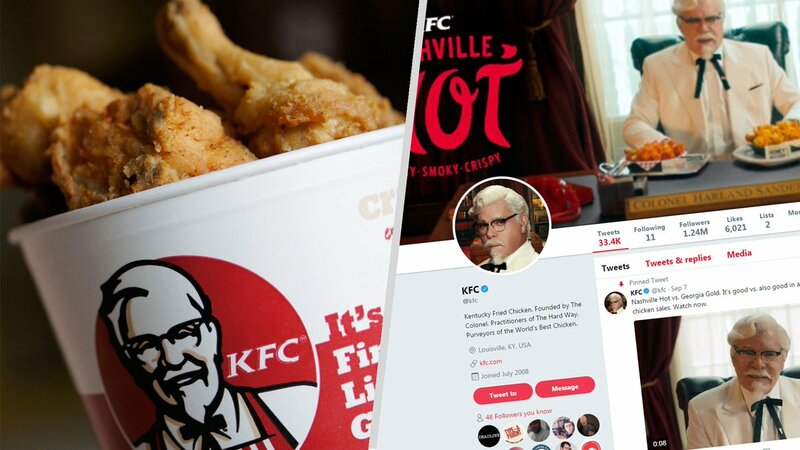 The brand managed to reach out to a huge group of people and to even those who were not earlier aware of Colonel Sanders and the history of 11 ingredients. I know it got me intrigued and I tried googling KFC’s secret recipe a couple of times before giving up. As it turns out, the secret recipe is still very much a secret and yet has everyone talking about it.